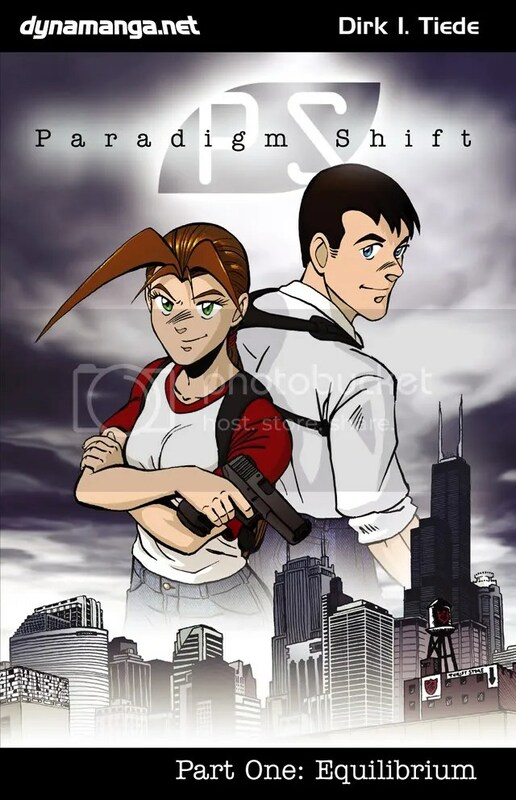 I’m reading Paradigm Shift, a graphic novel by Dirk I. Tiede. It involves two detectives, and a mystery. Seems some paranormal activity is afoot, as well, but I ain’t that far into the mystery of the story yet. The story progresses slowly, but even though it does, it is interesting and hooks the reader fairly well. It could be just me, for I really do like these mystery stories. It gets the brain ticking, you know? Plus, a little cop humor and detective story ain’t all that bad. Aside from the story, one of the things that really caught my attention is the attention to detail of the background of the artist. He placed the story in Chicago, and I find it really interesting to read about the backdrop of the story in the author notes. It also made me thinking of writing-up a short story using my own home town as the setting. I’ll probably have to grab my camera and shoot interesting shots to be used as reference, maybe even ask for reference materials from friends. I do like the idea of using a familiar place as a setting. It at least helps ease the writing process by easily referencing places, rather than create them from scratch. All I need to do is write a story. For now, I guess, I’ll have to practice drawing backgrounds. Posted in Feature.Tagged comic, graphic novel, mystery, recommendation paradigm shift, web comic.